Not only the most celebrated writers ever, but Charles Dickens was also an incredible speaker, giving readings on the two sides of the Atlantic. He would regularly showcase the parts he was perusing. Charles Dickens, perhaps the most significant writer of serialized novels of all time, was at times criticized for being too sentimental. Considering where he came from and all he had to overcome in his life, especially at such a young age, shouldn’t the more emotional aspects of his writings be embraced and used as a tool to dissect the various themes and characters of his work? An exciting aspect about Dickens and his start are that his story isn’t the typical rags-to-riches type. When a young boy, his family wasn’t wealthy but well off enough to prevent young Charles from worrying about where he would find the next few shillings required to support his family. I guess he is what would be considered a moderate-wealth-to-rags-to-riches story. Taking into consideration the resentment Dickens stated he had for his mother, for having him continue with the job that kept him pasting labels on jars for ten hours a day. Once the family was well enough out of financial trouble, it is easy to understand why a little sentimentality might be something that he wanted to inject into his stories, consciously or not. Dickens stated in David Copperfield, well regarded by him as his most favorite and personal of all his work, The man was hurting. He didn’t have the structure in his life while growing up that he later thought important. Perhaps the serialized novel is a form of writing that he embraced because it gave him the opportunity to put his thoughts and feelings of his unstructured childhood into a more acceptable frame. True, Dickens may have been a touch sentimental but taking into account where he came from, and all he experienced a little sentimentality should be acceptable. No matter what the critics may have said, or may ever say, Dickens’ writings have never gone out of print. His words have stood the test of much time, and it seems that audiences all over the world crave a little sentimentality. The muppet version of A Christmas Carol is better than any other version of that particular story and is probably the most sentimental. After reading the book, I find that the muppets bring to life the characters in a more believable way than some actors ever could. Michael Cain’s Scrooge is also more believable than what other actors have done with the role. This story seems to be one that people just don’t get tired of. There is a new version of it every few years, either in the cinema or on stage (who can forget Patrick Stewart’s impressive one-person show). Still, I think Dickens would be more pleased with Jim Henson’s creations. Currently in production is, you guessed it, A Christmas Carol, done entirely in motion capture by Robert Zemeckis. Jim Carrey as Scrooge and a host of others. Time will tell if this current version will be a mere bastardization of the beloved story or something that Charles Dickens would be proud to watch. Thanks to our sponsor Plumber West Jordan! William Faulkner is among the most celebrated people in literature. Being an American by birth, the writer is renowned for the many plays, short stories, novels, poetry, essays and even screenplays. He received many awards in all these fields of literature and he holds many Nobel prizes. He spent the better part of his life on Lafayette County in Mississippi where he breathed his last. William Faulkner was born on the 25th day of September the year 1897, the first born of the four sons of the late Cuthbert Faulkner and Maud Butler. When he was one year old, they relocated to Ripley Mississippi. Here, his father worked in the family owned Gulf & Railroad Company as a treasurer. His father had wanted to take over the company from his father, but this did not happen as the company was later sold. While his father was interested in outdoor activities like fishing and hunting, his mother took keen interest in education. She taught them to read and sent them to public schools. He started off well in the first grades but slowly his performance began to drop. This is because he began paying more attention to learning the history of the place and began ignoring his studies. He was not able to complete his high school education. In his teens, he dated a girl Estelle Oldham but she later married another boy, Cornell Franklin. Their marriage lasted for 10 years, they divorced and William Faulkner married Estelle 2 months after her divorce. The two had one daughter Jill and they settled in Rowan Oak. Even after he failed in his high school education, he continued to take keen interest in the town’s history. He often listened to stories from his elders on the civil wars, slavery and conquests. When he was seventeen years of age, he met Philip, who was older than him by 4 years and had a lot of interest in literature. It was then that Faulkner joined the University of Mississippi. He was not able to complete his studies there and he left after the first year. He later proceeded to join the Sigma Alpha Epsilon Fraternity to pursue his career in literature. His first article he wrote were short stories and poems which he submitted to Stone for publishing. However, all of them were rejected by the publishing houses. William Faulkner’s first novel was in the year 1925, ‘Soldiers’ Play.’ He then met Sherwood Anderson, who greatly influenced him to write his first work of fiction. Sherwood Anderson assisted William Faulkner by submitting his articles for publishing. Two of his novels, ‘Soldiers’ Play’ and ‘Mosquitoes’ were the first of his works to get published. William Faulkner fell off his horse on the 17th of June 1962 and developed thrombosis. He later succumbed to a heart attack on the 6th of July the same year and died with 62 years of age. 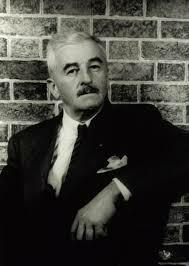 William Faulkner is a renowned writer that received many awards for his literature. His most popular stories he wrote was ’A Rose for Emily’’, a short story which was the first of his works to be published in a popular magazine. He died and was buried in St Peter’s Cemetery in Oxford. Many thanks to this Knoxville metal roofing company for sponsoring our blog! 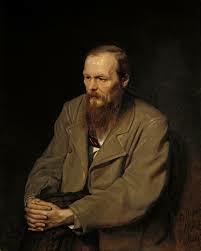 In case you have read any book by Fyodor Dostoevsky, then you must be aware that this author was complicated & fascinating too. This author’s books have a one of a kind Russian means of opening up the characters’ lives which is to be inspected by readers. Below are some things which you should know as far as the author is concerned. He made his first publication when he was 25 years of age. His parents greatly supported his love for literature. As mentioned earlier, the author’s parents were rich, & educating their kids was a priority to them. The author had an old nanny who started reading him some old fairy tales as early as three years of age. His mother could use the Bible in teaching him on how to read & write when he was only four. Due to this lifelong devotion towards literature, he grew a foundation which his parents had given him as a kid. He was an inspiration to other writers. Just like the author leaned on the giants’ shoulders whose work inspired him as a kid, he eventually turned to be among the giants who went on to inspire as well as support other literary luminaries. An author by the name Franz Kafka termed him as a “blood relative,” & Dostoevsky’s influences in his work today are evident. Prose masters such as Ernest Hemingway & James Joyce rank him as an idol, and others, such as Nietzsche appreciated him much due to how he seamlessly weaved the deep & dark intricacies of the human psychology in his stories. While this author’s mind was working much better as compared to everyone else, the body was unfortunately not. His sickness initially started to become evident at the military school where he began getting seizures regularly in the year 1839 when he was 18 years of age. When he was in exile in Siberia, the seizures even got worse, and despite the fact that he was to serve as military personnel after his return, he became quickly discharged since his health was poor. He of course managed to have a full life, but during his life’s end, the sickness got the better part of him where he developed several complications that caused his death at an age of 59. He once got condemned to death. During the 1840s, the author was part of a literary circle that intended to get social reform. They used to read banned books & discussed some potential social changes like avoiding censorship & serfdom, a period when such ideas were terrifying to those who were in power then, due to the political state in Europe. When caught, they were sent into the high security prison & later sentenced to death. Just before the execution, a messenger came in with where he got an exile to Siberia. Do you know how much of a hassle house leveling Dallas can be? We sure didn’t, not until we had to deal with it ourselves. Luckily we found the best company to work with, Metroplex Foundation Repair! Ernest Miller Hemingway was an American author who won the Swedish Academy’s Nobel prize in literature back in 1954. He is one of the most influential and celebrated literary stylists to have lived in the twentieth century. 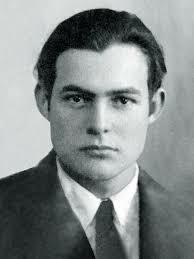 Ernest Hemingway built himself a reputation for his exceptional writing that was set apart by the emotional content, style and spectacular greatness of vision he applied. Hemingway was born on July 21, 1899 in Cicero (Oak Park), Illinois to a country physician father and a mother who loved music and was active in the church. His father taught him how to hunt and fish while his mother influenced him to sing in the church choir and play the cello. Most of his summers were spent with his family in the woods found in northern Michigan and would accompany his father on his professional calls. Despite being popular in high school and his love for outdoor life, Hemingway sought to experience life outside his home twice. He first enlisted to serve in the infantry when the United States was involved in World War I (1914-18), but was rejected owing to his eyesight challenge. He instead enlisted as an ambulance driver with the Red Cross medical service. He became a hero when he aided a wounded man to the aid station despite being badly wounded on his knee. After more than 200 shell fragments were removed from his body and legs, he enlisted to be a foot soldier for the Italian army. He served until the truce was called on the Austrian front and his bravery saw him earn decorations from the Italian government. He soon after returned home where he was hailed as a hero. After the war, Ernest Hemingway worked for the Toronto Star as a foreign correspondent (North East area). He had made a decision to concentrate on fiction writing and his great journalism talent and magazine publications of his stories made a good impression on celebrated author Sherwood Anderson. Anderson introduced him to Ezra Pound and Gertrude Stein, two Europe-based American writers. In 1923, Hemingway managed to publish his first ever book Three Stories and Ten Poems. The stories in the book depicted his budding genius. In 1925, he published In Our Time depicting the initiation of Nick Adams, a young man who later became a model for his other heroes, into the world of violence and pain. In 1926, Hemingway returned to the US armed with the manuscripts of a number of short stories and two novels. He managed to publish The Sun Also Rises describing how the war affected a group of Englishmen and Americans. He also published A Farewell to Arms (1929), Death in the Afternoon (1932), The Green Hills of Africa (1935) and two fantastic short stories “The Snows of Kilimanjaro” and “The Short Happy Life of Francis Macomber”. He also published the novel For Whom the Bell Tolls, which is considered as his most ambitious. After the huge success of the novel For Whom the Bell Tolls, Hemingway went on a literary silence for about a decade. This could be as a result of the World War II (1939-1945). He married a Time reporter known as Mary Welsh. He had been married on three occasions to Hadley Richardson (one son), Pauline Pfeiffer (two sons) and Martha Gelhorn, and all of these marriages ended in divorce. In 1952 he published The Old Man and the Sea, which was considered a masterpiece and won the Pulitzer Price (1953). Ernest Hemingway managed to get the Nobel Prize for Literature in 1954. Hemingway and his wife moved to their new home at Ketchum, Idaho. After staying there for a few months he was admitted at the Mayo Clinic for Hypertension treatment as well as depression. He was subjected to an electroshock therapy. Ernest Hemingway grew bitter with the illness that impaired his writing and humiliated him and he shot himself using a shotgun on July 2, 1961. Special thanks to our sponsors for today: BestLine Solutions! Edgar Allan Poe was indisputably one of the most influential and revered writers in America back in the 19th century. He turned his writing talents into a career and became the first American author to make a living out of writing. He is popular for his short stories and poetry, especially the macabre and tales of mystery. He is recognized across the globe as an authority in the United States when it comes to romanticism and American literature. He was responsible for popularizing short stories and inventing detective fiction genre. He is also celebrated for his contributions towards the evolving science fiction genre. Poe drew inspiration from events that occurred around him to develop creative content. Poe was born in Boston on January 19, 1809, to traveling actors, who died three years after his birth. A wealthy tobacco trader John Allan and Frances Valentine Allan, his wife, took in the three-year-old Poe to their home in Richmond, Virginia. Other families adopted his brother and sister. Mr. Allan raised Poe to be a successful merchant in Virginia, but Poe’s heart was in poetry, and he looked up to Lord Byron, a renowned British Poet. Interesting poems drafted by young Poe at the backs of various Allan’s ledger sheets demonstrate that Poe had little interest in the tobacco business. Poe joined the well-known University of Virginia in 1826 and dropped out within a semester due to accumulated debt. The miserly Allan neglected his duty of ensuring Poe attained University education. Poe visited his fiancée, Elmira Royster, at her home and found out that she had moved on and was already living with another man. The heartbroken Poe’s relationship with Allan deteriorated within the few months that he stayed at Allan mansion. Poe moved out of the house to pursue his quest of becoming a prominent poet and finding adventure. Aged 18 years, Poe published his first book known as Tamerlane. Two years later, he joined the West Point-based United States Military Academy and continued with his passion for writing and publishing poetry. Poe was thrown out of West Point after just eight months. Penniless and alone, Poe reached out to his relatives in Baltimore – the home of his late father. One of his aunts agreed to help him and accommodated him. John Allan passed on while Poe had relocated to Baltimore. Surprisingly, Allan left out Poe out of his will and transferred all his wealth to an illegitimate child whom he had never seen. Still broke and lonely, Poe began authoring and publishing interesting short stories. One of his short stories emerged the winner of a competition sponsored and organized by the Saturday Visiter. Poe leveraged the connections he had established via the competition to write and publish more wonderful stories. Eventually, he obtained an editorial post at the Richmond-based Southern Literary Messenger. Within just a year, Poe’s sensational stories and sarcastic book reviews had popularized the Messenger in the South. At 27, Poe Married Virginia Clemm. Although the marriage was a happy one, money proved to be a problem. He relinquished his position at the Messenger and relocated to New York City citing low pay and poor editorial control. A year later, Poe moved to Philadelphia and wrote for a couple of distinct magazines. Despite his growing fame, he was still struggling to make ends meet. Upon receiving meager payments for the publication of Tales of the Grotesque, Poe started to advocate for international copyright law and higher wages for authors. Poe became a household name in 1845 following the publication of “The Raven.” At this time, he was living in NYC, and he was attracting huge crowds to his lectures due to his fame. The same year, Poe published two books and achieved his dream of managing his own magazine after acquiring the Broadway Journal. However, the magazine failed a year later. Joseph W. Walker found Poe in great distress on the Baltimore’s streets on October 3, 1849. He took him to the Washington Medical College where he passed on October 7, 1849. Edgar Allen Poe was a master of word just like Best Salt Lake City Windows is the master at what they do. Call to schedule a consultation today!